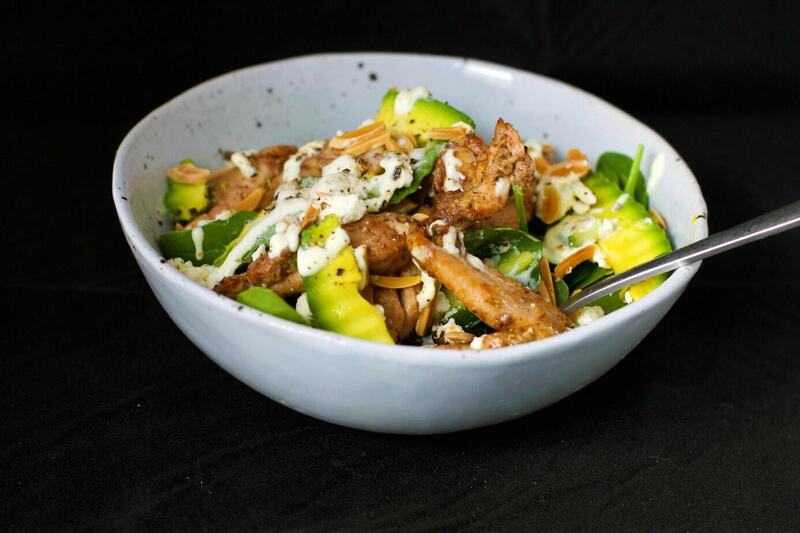 This Chicken Avocado Almond Salad made every week day for many years, in a cafe I ran many many years ago. It was the Chicken No 3 on the menu board and was VERY popular! The only changes I have made is ensure that I use a sugar free mayo, or make my own for the dressing. Included in our up coming meal plans in 365, this a recipe that takes no time to make at all. I am definitely one for not having to spend too much time on anything we make in the kitchen. I think we can all appreciate spending less time at food prep that is for sure. If you are a fan of my Baja Chicken then this will probably be a new favourite for you. This cold weather we are having at the moment makes me feel less like eating salads than at any other time of the year. Preparing a salad with some fresh baked protein helps to get the greens in and strike a bit of a balance. I have been making so many soups lately that this meal is a nice break and has actually inspired me to get back into some more salads. I hope you love this recipe. Trust me back in the day, it was a massive seller! So easy so yummy. You are going to thank me for this recipe. 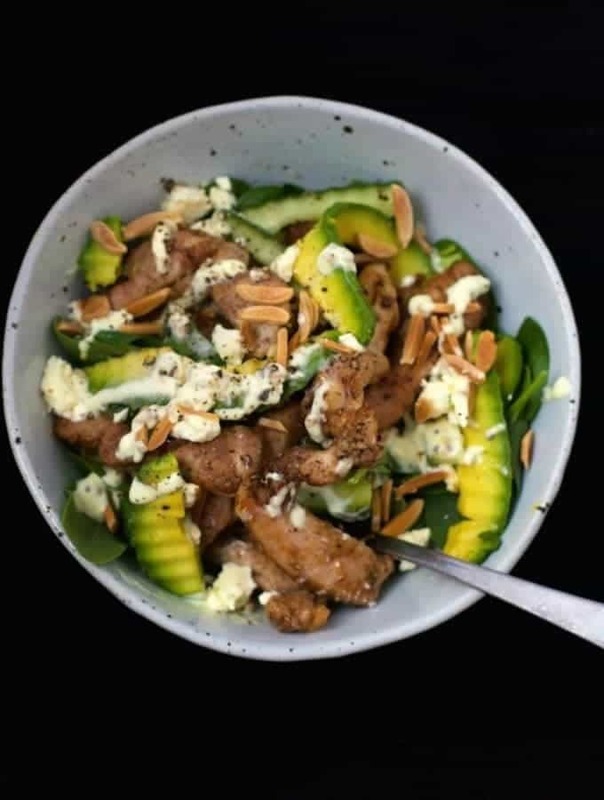 This is one of the best salads for taste and satisfaction! My husband likes to eat and he really really loved this one! Will be on our favs list!